While most lodging options in the park cater to high-end travellers, and park fees are pricey (US$60 per person per day), there are a few options available to budget travellers. The most affordable way to do a safari in the Serengeti is to join an overland tour, which will include transport, a guide, the cost of camping, food and park fees. Self-guided independent travellers will need a car to explore the park: you can hire a 4x4 from Arusha or Mwanza, as well as camping equipment, and stay at one of the campsites outside the park gates or at one of the nine public campsites inside the Serengeti: there are six in the Seronera area in the heart of the park, one at Lobo, one at the Fort Ikoma Gate and one at Ndabaka Gate (you can book and pay for these campsites when you enter the park gates). There are also special campsites which you’ll be able to use exclusively for your group. 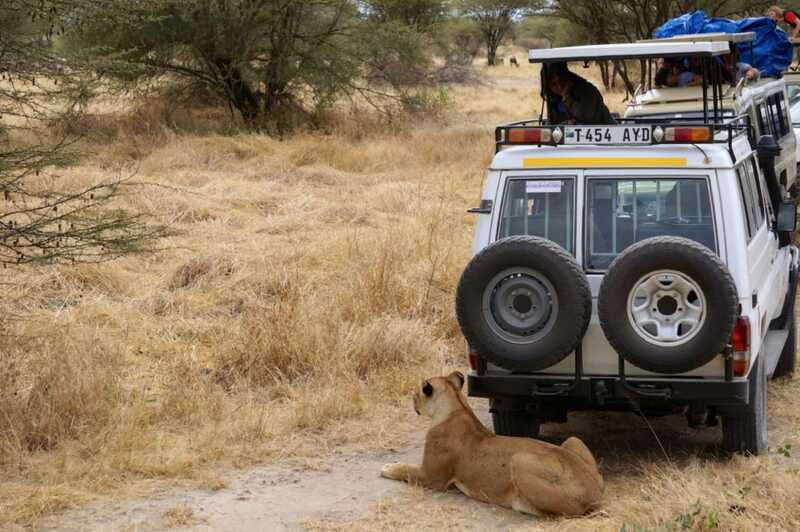 These you’ll need to book in advance through a tour operator or through the Tanzania National Parks Authority. You’ll need to be entirely self-sufficient if you’re camping, so stock up on provisions in either Arusha or Mwanza before you enter the park and bring your own firewood. Many travellers prefer not to drive themselves on the Serengeti’s challenging roads, and instead hire a driver although this will cost a lot more than driving yourself. The alternative to staying inside the park is to book an affordably priced lodge on the outskirts of the park where your meals and game drives are included in the rate, and spend some time on game drives outside of the park, so you don’t have pay park entrance fees for every day that you’re in the bush. Travel during the rainy season from January to March, when the Serengeti is at its wettest, to get discounts on lodge rates and safari packages for the best budget deals.